Thread: What % grade can you clear riding single speed? Lot's of variables I know, length of climb, etc. But what at what % roughly is it walk time? Sustained? what about shorter with no momentum? Or however you feel like answering the damn question. Practicing on my crappy 26" (with the worn drive train that I need to fix soon) not shifting/staying at 32/20 - I hit something around 30% and it stops me cold. Anything below that I can clear depending on the grade and how long it is. Still conditioning/ building strength. That 30%+ stuff seems like it will always be impossible even when I get the N9 built up - but we''ll see. I have a year to get in shape. I can do short/steep. Anything where I have to grind it out I can't do. It could be a grade so gradual you only know your going up because it gets hard to pedal. But if it's a short punchy type climb I'm fine. SS ==> Nut up or Shut up! Most of the trails I ride start off with a long steady climb 5-7% with some punchier sections. Los Angelino looking to escape the clamor. If you're riding 30% grades on a 32/20, my hat is off to you. Not only that, you have the strength of a bull. I really think you're overestimating the grade of your trail. This Climb is about as hard as it gets in short punchy sections, some of which have some smooth granite that can make traction tricky. I've cleared it once on my 29" with 34-22 gearing but it took absolutely everything I had to get it done and at least 5 mins for the spots in my vision to pass. I know of less then a dozen riders who have cleaned the climb with multiple gears and I'm the only one who's done it on one gear. Here's another 16% avg that is just a steady climb from hell that most locals avoid if possible. I also cleared this only once and never bother to try again because there other ways around that are more fun and less pain. Here's a 19% that we did three times during an XC race. I was running a 34-20 setup so I didn't even bother trying to ride it and instead opted to jog up instead which actually had me pass most expert div racers who insisted on staying clipped in. It's hard to toss % around and call one climb harder then another based on those #'s. What I learned over the year was with a 29" 34-22 setup I could clear anything a multi geared rider of the same physical caliber could clear even if just barely. No one in my area rides SS because our trails are just too damn steep unless your pushing the pro level in strength. The 24hr solo world championships being held in weaverville this year ill have a 2.5 mile climb I was only able to clean 3 times of 7 laps during an 8hr race. I'm very curious to see how the top endurance SSers in the world attack that climb for an additional 16hrs. No, I have them on the trail, but they stop me cold. They're very short sections, under 40' on average, but no I can't ride them. Sorry if I wasn't clear about that. That's why I'm wondering what people actually, routinely clear grade-wise. There are some maybe 15 to 18%+ grades that have me wondering, since some of them I haven't had the nerve to try on the beater bike yet. No, I have them on the trail, but they stop me cold. I can't ride them. I reread it. You were clear, my fault. We have an average 20% grade for 1k feet over I think half a mile. Anyways, there's no way I could ever climb it on a SS with 32/20. I crawl up it with a 32/34. I avoid that "trail" it's really a logging road at all costs. Rojo, thanks for that. I'll check those links out. I think you would be fine on 15 to 18% for very short sections. Momentum is key. Rojo - you're in my old stomping grounds more or less. I used to ride Carnegie quite a bit when I had the YZ250 - most of mountain biking was done on Mission Peak in Fremont (lived there) but not SS, although I think it's doable. I never rode Mt. Diablo or anything. I think the East Bay area has some reasonable SS stuff - if you like hot California shapparel riding. I'm loving here in the PNW now. If I may, a little insight. 45 degree slope = 100% grade. 100' up / 100' distance. In skiing, avalanche terrain is generally up to 38 degrees. * Above that the snow sloughs too often to cause climax slides. ...back to steepness and SS. Thank you for that - the context of my original post is faulty then since I was considering 90 degrees = 100%. Something that I found really helps on tough climbs is to be in front of all the guys with gears lol. I can gut out 20% for 200-250 feet with a 32/18 on my 29er. But it's time for a breather at the top of that. I truly DO have 30% grades on the road near my house. Since the approach to the 30% grade is 300 feet of 20%+ I've never actually made it to the 30% part riding, so I have no idea what would happen if I got there. But I suspect it would be something...my heart would explode. I am glad I found this topic. I was beginning to think I was a big ***** because of some of my fails. For some reason I thought most of you SS riders here could do more than what your saying you actually can. I got a park not far from me that is built on high bluffs. You drive in and it is a constant climb in the car to get to the top. Then you get your bike and start riding the trails DOWNHILL. Thats a blast. Then you get to the bottom and still have much more to ride. You find your self in lots of rolling 20-30 degree grades with bumps and ruts. On some trails you get to the bottom by the creek and if you turn around to ride back it is immediate uphill from the start so you can't even build up any momentum. I end up pushing a lot of this back. I am gasping and throat is burning. I admit I am not in the best shape but this park is wild and rugged. So maybe I should not base my fitness level off a few attempted rides at this park as it sounds most of you would struggle as well. Good to know I am not alone. SWIGG Southwest Iowa Gravel Grinder- Come see us every June! Grade is just a part of it. Traction is a HUGE player when it comes to SS -- far more than a geared bike. The toughest climb on my local ride is 6 tight switchbacks with a 9% grade. Yes, the grade is steep but that's not the challenge. The challenge is that on the tightest parts of the switchbacks, there's a lot of Georgia red clay. When it's damp, it can be like riding on ice. With a geared bike, you simply spin through it. I clean this set of switchbacks nearly 100% of the time on my geared bike. But on my SS, I have yet to clean it. Standing for torque on slick, steep, wet clay results in the rear wheel spinning out nearly every time on the first wet switchback. It's physics. When it dries out, the clay turns to loose dirt and the problem is similar. I had this same experience this winter. I was on the SS bike in the snow. I was riding this grade around 10% or so and it even leveled off before the switchbacks. I would have to get a running go before the hill and try to carry my momentum. As soon as I lost my momentum, my rear wheel would lose traction and there I would sit. This was only a couple hundred feet of climbing too. I'm really surprised by this post. Most trails are built never to exceed the grades we have mentioned in this post. If it does exceed more than 10 or 15%, then it should only be for a short period of time unless these trails were designed for hikers. Normally, when we design trails, our group shoots for 10%. 20% is insane over a long length of trail. I would consider that one direction trail, downhill. I know of a few one way trails that match what is being described. Don't know, don't care. I either make it or a I don't. If I can make all the climbs, then I need a harder gear. Some trails were primitive trails that were not 'designed' as such, but we adopted them over time and they become 'official'. For that reason we have some very steep grades over short spurts, which is nice because it makes for some great swooping downhill riding. It's just a cast iron ***** on the way up sometimes. I know exactly where you're coming from. My local trail system except for what we've built in the last couple years was solely designed as hiking trails, which were later adopted at mtb trails. Yeah, and getting them rerouted is a huge undertaking. I may get them all rerouted someday. If I could only use machinery on these trails or have a large workforce. I run the parks department where I live, and I had a motivated biker constructed a few 'illegal' trails (in other words he didn't run it by me or ask for clearance) during a period when I was too busy to pay much attention to this particular property. Pretty nice trails, and a big improvement to the property. I knocked on his door after discovering them and finding out who it was and said "Thank you, but knock it off". Other trials cut by who knows, are cutting off switchbacks and are damaging so I've been fencing them off with split cedar, felling trees and putting up signage. Mitigating damage caused by horses is my big pain in the arse, and I'm going to end up shutting down some of these trails to equestrian access since they don't have enough sense to only ride when it's dry/hard. Managing the public is a royal pain. Anyway I have a new idea for a spur trail and I'm lucky that I have volunteer help to call upon, otherwise making a new trail would be impossible for me since I'm pretty much a one man show. It would be nice if we had someone like you in my area to organize work days and have a trail fund. I feel like I'm working in system designed for systematic exclusion. I try to get stuff done legally, but I keep getting road blocks and simple questions unanswered. So far 6 miles have been approved and we are getting those completed. That's a big step considering nothing had been built since I've lived here. Only 18% average, but the last 70m is about 35%. Kind of depends on my ride schedule for the next few days. If I am going to have 2 or 4 days off, as a result of work/commute, I may attack crazy steeps. If I am riding big the next day, I may walk it. I have done 15-20% road climbs to trails, but heavens no I can't do that on the dirt. I can only offer a road section but I do it on on the way to the trails on my 29er, running 33:18. The climb is between 300 and 400 metres long and it's about 20%. 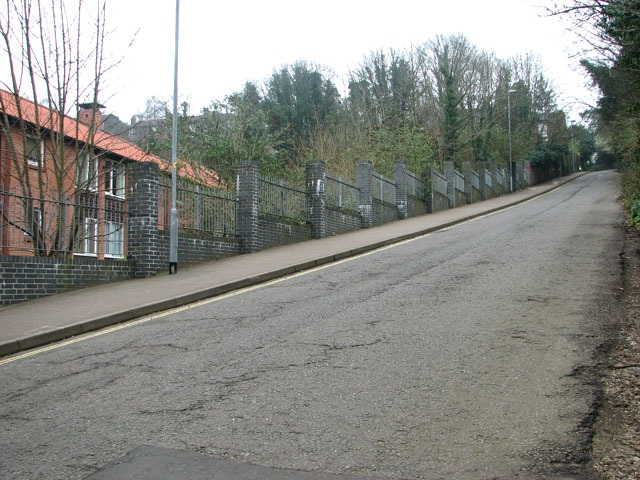 (it's the steepest hill in Norfolk, UK) It is quite a difficult climb cos the hill starts as soon as you turn off a busy road so there's no chance of having a run up to it. I am almost at a stall at the top, straight, no tacking. I did this 10 "hill stage" race last year on my SS29er. I think I had the best geared bike for it. Ha! Cleared every hill, and did the paper boy thing on only one (Baxter) just because you can get a super fast start from the bottom and it kicks up towards the top. FYI, one of the climbs (Eldred) is ranked the second steepest street in the world. 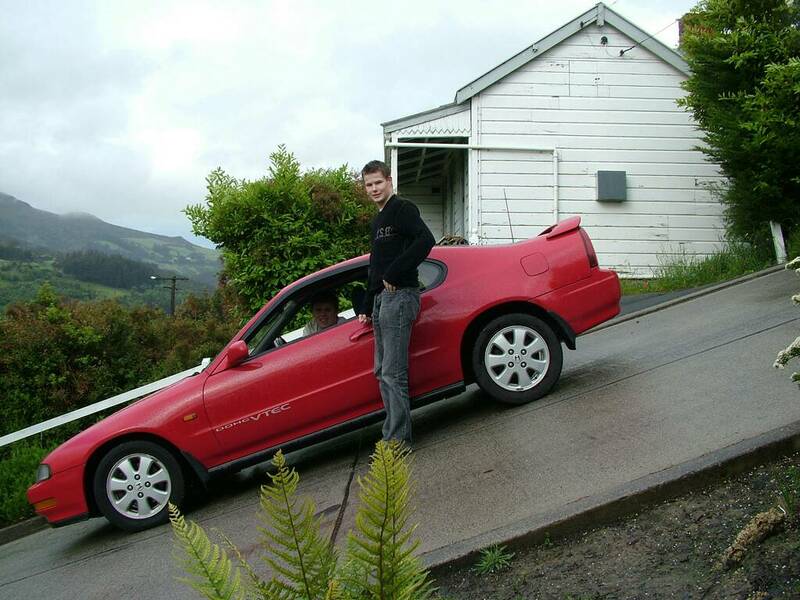 Baldwin St Dunedin is the steepest residential street in the world. Best area for epic single speed riding?